Glitter lovers, attention please! This LIQUID GLITTER series here is ready to turn your world into something fancy and magical. Hold it in your hands and shake them up! 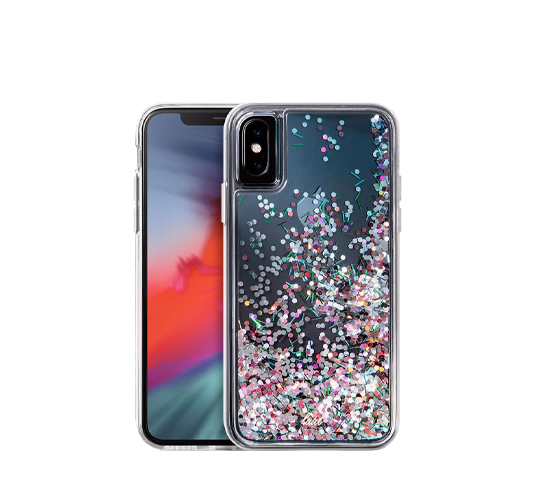 The reflective confetti glitter inside the case delivers a luxurious feel and look. With the eye-catching moving glitter, even the slightest movements make them shine brighter than ever before. Not only does it look good - this case was also designed with durability in mind. Crafted with soft thermoplastic polyurethane and a hard polycarbonate shell, it’s extremely durable. A dreamy style with 360° protection - where fashion meets function.